Overview: The B'laan Koronadal of Philippines, numbering 71,000, are No Longer Unreached. They are part of the Filipino, Tribal people cluster within the Malay Peoples affinity bloc. This people group is only found in Philippines. Their primary language is Koronadal Blaan. 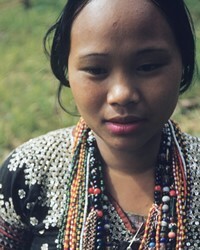 The primary religion practiced by the B'laan Koronadal is ethnic religion. Ethnic religion is deeply rooted in a people's ethnic identity and conversion essentially equates to cultural assimilation.